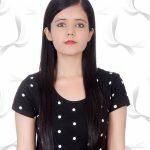 How to Pass SSC CHSL in the First Attempt? India is a country of many opportunities. Young and aged seekers for jobs prepare themselves every year as much as they can, for the various government and private jobs and vacancies that pop up each year. As each man and woman put all of their hard work and perseverance on the line, let us what it takes to clear this prestigious examination and also get a closer look at one of the most attended examinations in this nation with over billion in population. The first and foremost thing one should do is to consider reducing their social responsibilities with their friends and family. It is absolutely necessary that one devotes the majority of their time (including free time during the day) to studying and preparing for this examination. Just like most other examinations for jobs and vacancies, studying for a few hours is simply not enough. The next part is understanding the structure of the examination and the syllabus. This is a very important step so students can gauge the topics which are best suited to them and work on the ones which they are not very comfortable with. Also, a very important thing to consider is the time for the examinations, most notably the first tier in which candidates have to be the most time effective in answering the given questions. From an examination point of view, learning short tricks is one of the most beneficial habits any candidate must follow. Short tricks help in saving time during the solutions and one does not have to use the traditional formulas which usually consume more time than required. In an examination, which only lasts for 60 minutes, every second is precious. The previous year question papers help candidates get an understanding of the type of questions that are most likely to appear and help them get an idea of the pattern. This helps in targeting certain or the most probable type of questions which will appear in the examination. Another, a great advantage is that candidates can get an idea of which type of questions and topics they are good at and the ones they need to work on. The syllabus must be followed well to the last subject, but one must take care to not dive into topics beyond it. Doing that is a complete waste of time and is not beneficial in any way. Each section must be covered individually and each subject thoroughly so that candidates get enough confidence with each topic as they work towards covering the entire syllabus. Making a daily study plan with each day laid out for certain topics and subjects is one of the most important habits which many candidates fail to inculcate in their daily habits. Studying topics the smart way is much more fruitful than trying to forcefully learn every single formula or concept. More time should be devoted to those topics which are harder as per the candidate’s abilities. Short notes are the lifeline for every candidate, no matter which examination they appear for. During the last one or two months before the examination, one must devote their time entirely to the short notes because it is really not possible to look through every topic from every guide or book. Short notes are really lifesavers and must be meticulously maintained. Keep practicing the questions again and again. This will increase confidence significantly which is one of the most important things many candidates lack while appearing for the examination. Practice previous year question papers, so one does not feel lost while appearing for the actual exam itself. Getting used to the time limit is one vital aspect most students overlook which can cost them dearly at the time of the examination. Many candidates tend to overthink and become nervous during the initial days of their prep or towards the end. This is a very dangerous point and can cost a candidate a successful attempt which might lead to a heavy step backward in their career. Candidates can get overconfident and not cover every as they should. This overconfidence generally leads to their downfall. Every topic no matter how hard or easy is equally important and must be given equal importance. Less is more. As they say, too many cooks spoil the broth, the same applies to the books one chooses. Candidates must make sure to consult only the reputed books and ones which use the kind of language suited for their needs. Referring to a lot of books at the same time is a waste of time and energy and only leads to confusion. In this period, the sole purpose of every candidate must be to cover the entire syllabus. A minimum of two hours each day must be spent on covering every topic methodically. Reputed English newspapers must be read on a daily basis for at least 30 mins and the important news articles must be noted down on a separate notebook. This will help greatly in brushing one’s GK and English greatly. Also, subscribe to topic tests online and through examination apps available on Android and iOS. This period is mainly for revision. One should not waste time trying to look for or think about topics missed during the first phase. Quantitative and Reasoning are two of the more difficult topics, at least 100 questions each day must be covered for these two sections. English must also be regularly practiced. Mock tests are vital and the number of mock tests taken should be ideally high at this time. The complete analysis of each mock test is absolutely essential as constructive feedback for each candidate. Solve test papers and concentrate on the weaker topics. Daily at least 10 to 12 mock papers should be solved without fail. At this point, every candidate should go through their short notes religiously to brush up on topics which they feel less confident about. If one finds himself or herself stuck on a particular question, he or she should move forward the next question. Getting stuck on a particular question is a waste of time and leads to an increase in anxiety during the examination which can be a disaster. One should never mark the answers for questions which one is unsure of. Any unsure answer is a possible wrong answer which will lead to a penalty which could result in non-qualification to the next stage. The minimum cut off marks must be attempted from each section. Failing to do this will result in non-qualification as a minimum cut off is present for each individual section. Carefully read every question. It is recommended to read the trickier ones at least twice before attempting them. No answer should be attempted by guesswork or by using a formula one is unsure about. The Staff Selection Commission Combined Higher Secondary Level (for 10+2) or the SSC CHSL is an examination for those who have graduated a minimum of 12th standard. This examination is conducted every year by the government body, Staff Selection Commission. Through this examination, candidates who qualify are eligible for the posts in government sectors. The posts are lower division clerks, junior secretariat assistants, postal assistants, data entry operators, and other such similar posts. Lakhs of candidates appear each year but only a few thousands are selected. Thus, the level of competition is really high. The Combined Higher Secondary Level (CHSL) is conducted by the Staff Selection Commission (SSC) as a recruitment process consisting of three tiers. Each tier must be individually completed or progressed through to get to the next tier. If one fails at the 1st or 2nd tier, then he or she must wait for the following year to appear for this recruitment examination again. This is why one must be prepared to the best of one’s capabilities as each tier is difficult in its own right and as one progresses through each tier, the difficulty level of the examination increases by a significant extent. So, the first tier or Tier 1 is an objective based test. Here there are 4 sections. other subtopics, if any numerical operations. ALGEBRA: basic algebraic identities of school algebra (simple problems) and graphs of linear equations. NUMBER SYSTEM: computation of the whole number, decimal and fractions, relationship between numbers and fundamental arithmetical operations: percentages, ratio and proportion, square roots, averages, interest (simple and compound), profit and loss, partnership business, discount,, time and work, mixture and allegation, time and distance. GEOMETRY: familiarity with elementary geometric figures and facts: Triangle and its various kinds of centers, common tangents to two or more circles, congruence and similarity of triangles, tangents, circle, and chords. TRIGONOMETRY: trigonometry, trigonometric ratios, complementary angles, height and distances with standard identities. MENSURATION: Triangle, Quadrilaterals, Circle, Right Prism, Regular Polygons, Right Circular Cone, Sphere, Right Circular Cylinder, Regular Right Pyramid with triangular or square Base Hemispheres, Rectangular Parallelepiped. STATISTICAL CHARTS: frequency polygon, histogram, bar-diagram, pie-chart. Questions are designed to test the candidate’s general awareness of the environment around him and its application to society. The test also includes questions relating to India and its neighboring countries especially pertaining to History, Culture, Geography, Economic Scene, General policy, and scientific research. Topics under this section include spot the error, spellings or detection of misspelt words, idioms & phrases, one word substitution, improvement of sentences, fill in the blanks, synonyms or homonyms, antonyms, active and passive voice of verbs, conversion into direct or indirect narration, shuffling of Sentence parts, shuffling of sentences in a passage, cloze passage, comprehension passage. On paper, this might not seem like much. But, one can truly feel the pressure when one actually appears for the examination. The examination is held over a period of 1 hour. This translates to about 20 minutes which every candidate should devote to each section. Keep in mind that for every wrong answer, a total of 0.5 or ½ marks is deducted. There is no penalty for any question left unanswered. The second tier or Tier 2 can be appeared by those who have attained the minimum or more required marks (cut off marks) in the first tier or Tier 1. This tier is a descriptive based level Here, the writing skills of the candidates are thoroughly tested. Mainly essays and official application writing skills are tested. The essay section is composed of topics such as national interest, finance, and economy, ecological issues, politics, social issues, schemes and governance, sports, geopolitics, environmental concerns etc. For the official applications, one can expect complaints, suggestions, official appreciations, follow-ups and feedbacks. Finally, the third tier or Tier 3 is for the best of the best. This tier is a pure skill based test. Typing tests of a high level are conducted and finally, the personal interview is conducted.